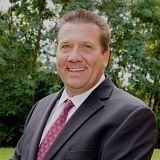 With more than 15 years of experience, Kevin is highly skilled at helping individuals, families and business owners. He starts by working with them to identify their financial goals and then creates sound financial strategies to help protect and reach them. His expertise includes understanding how to structure employee benefit and key employee retention packages — as well as business protection and succession plans — that help business owners achieve their unique objectives. Once a plan is in place, Kevin meets regularly with clients to help ensure they are on track and to make adjustments that align with lifecycle changes and other changing needs. Kevin is a Wisconsin nativeand an avid outdoorsman. In his free time, he enjoys hunting, fishing and farming, as well as spending time with his wife, children and grandchildren. Prior to becoming an investment advisor, he worked as a civil engineer. Advisory services: California, Illinois, Minnesota and Wisconsin. Securities products: California, Illinois, North Carolina, Texas, Minnesota and Wisconsin. Holds Series 6, Series 63, Series 65 and is licensed to offer disability, health, life and long-term care insurance.